......save yourself a fortune on those horrible things called 'entrance fees'!! This list is not in any particular order by the way - I've been to them all with my daughter and they're all good fun. Your children will love this park. 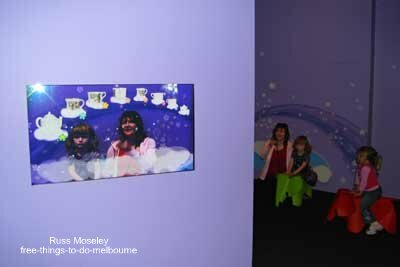 This is another superb place for Melbourne kids. Prahran market is a nice place to spend a few hours anyway but there are also free kids things to do. 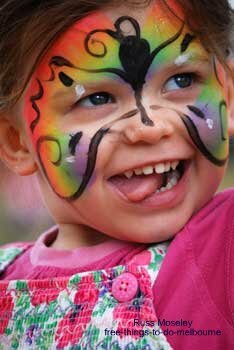 Kids trails and other entertainment. A great day out for the kids with their bikes, scooters or skateboards. A really good city centre playground. There's a few good free things to see here. So much more than books - kid friendly computers, games consoles, storytimes, colouring in, watching DVD's, playing chess, listening to music and probably other kids activities too! Computer games, consoles and free movies. Check out all the planes here and don't miss the flying display. 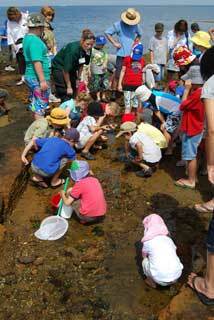 300 free events around Port Phillip Bay every summer. Watch these cute creatures coming home to bed. Take the kids for a free sail. Forget the stalls, check out the circus performers, magicians etc. This is the best playground I've ever been to........Don't miss it! This is a famous annual Melbourne event. Over one million people saw it last year. This is where you'll find those famous colourful bathing boxes. Your kids will love them! More storytime and song sessions for the younger kids to enjoy. Check out these great Family Day events held by the AFL football clubs every February/March time just before the start of the season.